For Intuitive Company’s office space, the goal was to create a modern work environment that implements low-cost but impactful solutions. 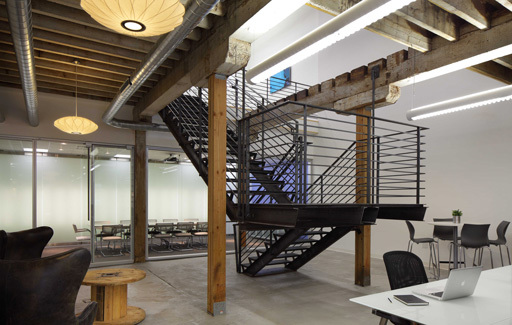 The design capitalizes on the naturally-expansive work environment by featuring the existing exposed heavy timber frames and a custom-fabricated industrial staircase. 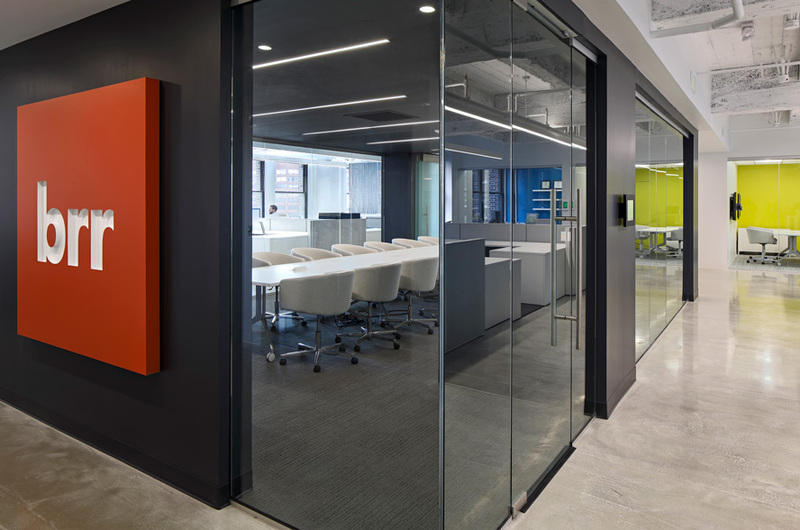 Neutral concrete floors, timber columns, and furnishings are accented with bright pops of color on the conference room walls and modern art displays throughout the office. Open work stations, multiple sitting areas and glass-walled conference rooms provide Intuitive staff with a flexible, collaborative workspace.